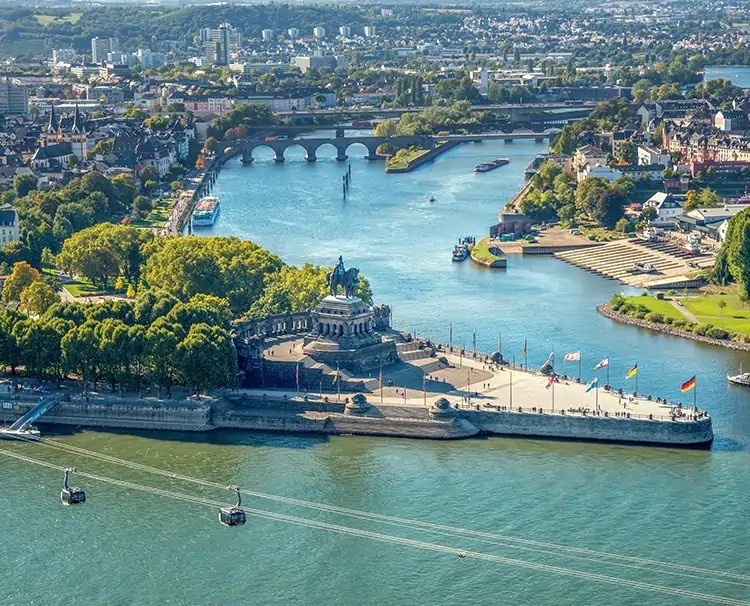 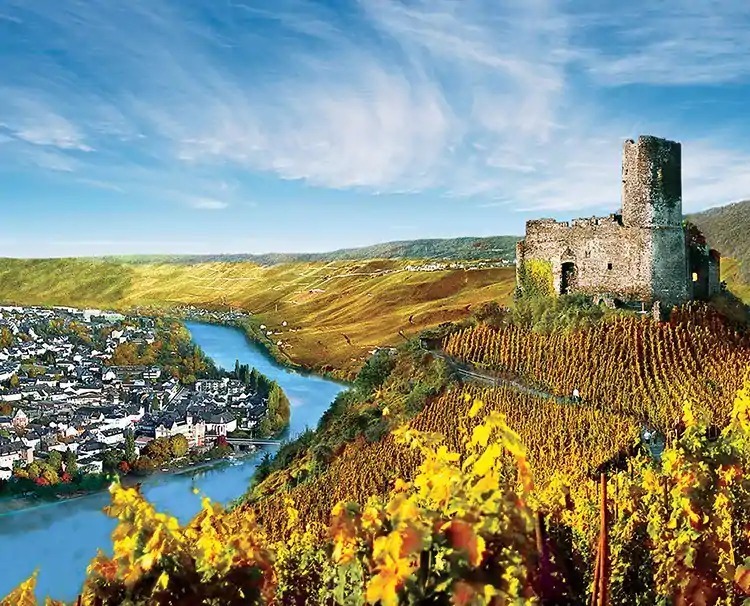 Pages from fairytales come to life as you find inspiration along the fabled, castle-laden Rhine and its breathtaking tributary, the Moselle, with fascinating scenery of Europe’s steepest vineyards lining its shores. 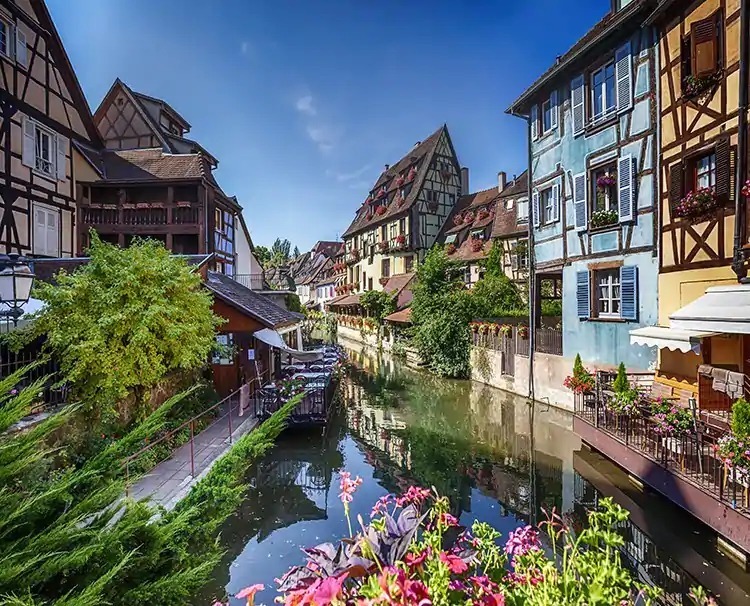 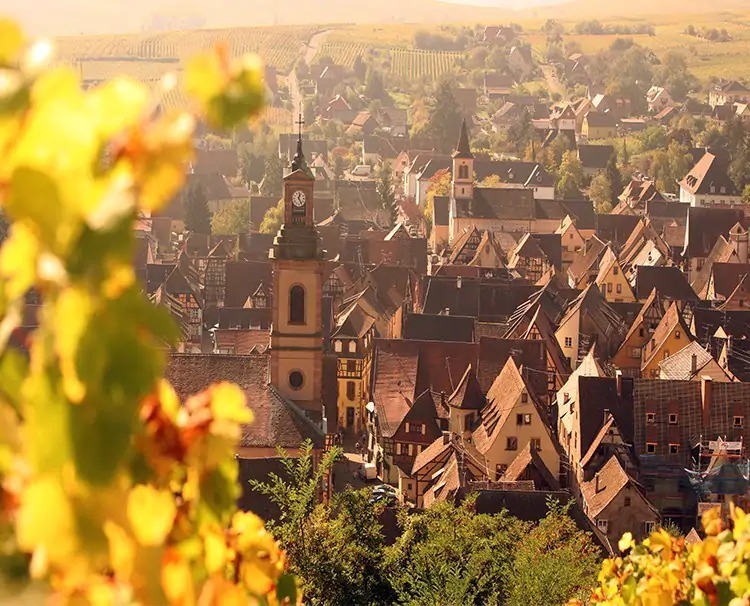 Encounter some of the prettiest towns of the Alsace—Strasbourg and Riquewihr—that blend their German and French heritage into one enchanting masterpiece. 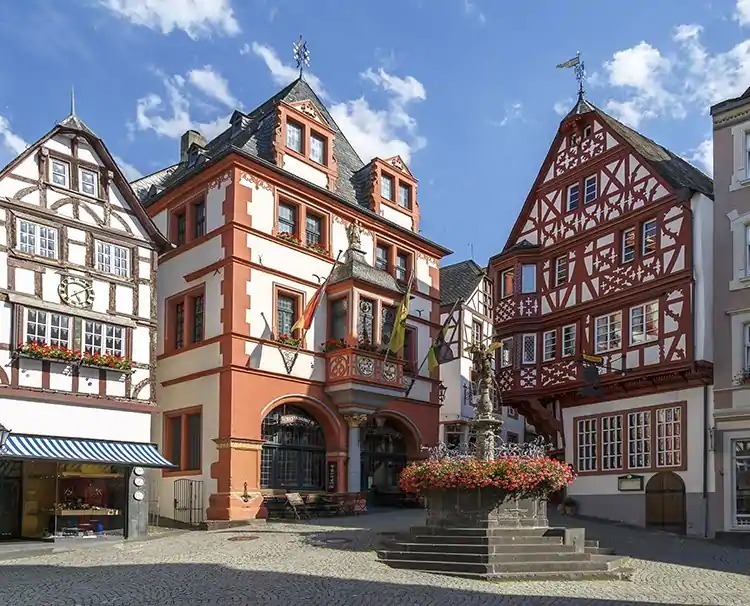 Cochem and Bernkastel, towns that grew up below a castle, give you a sense of what it was like to live during the Middle Ages. 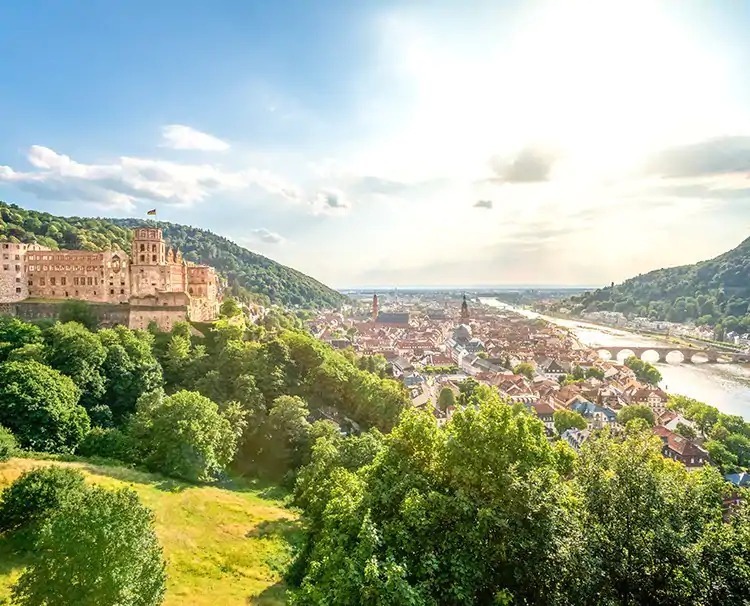 Visit Trier, once known as the second Rome as no other city in Germany has so many monuments from Roman times; and Koblenz, where history meets at two rivers. 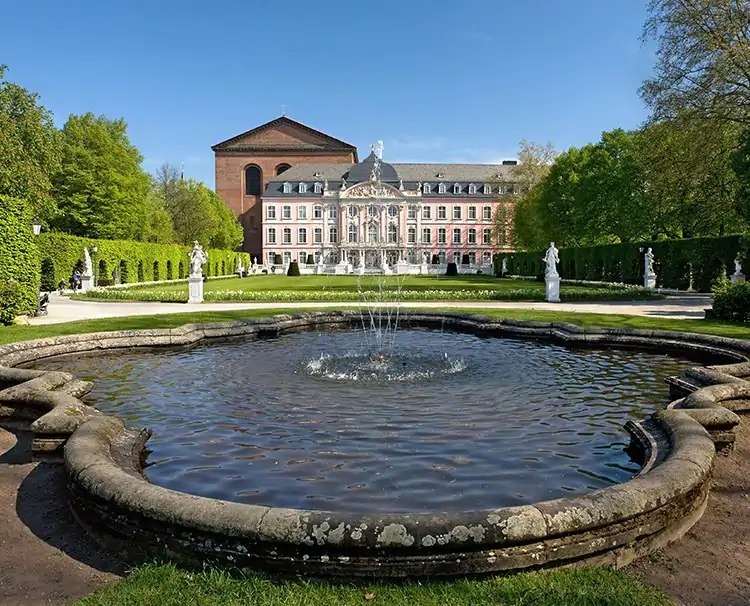 Bygone grandeur of a different kind can be found at Mannheim’s glorious Baroque Palace and at Schwetzingen Palace Gardens with more than 100 sculptures and whimsical buildings, including the most spectacular, the Türkischer Garten. 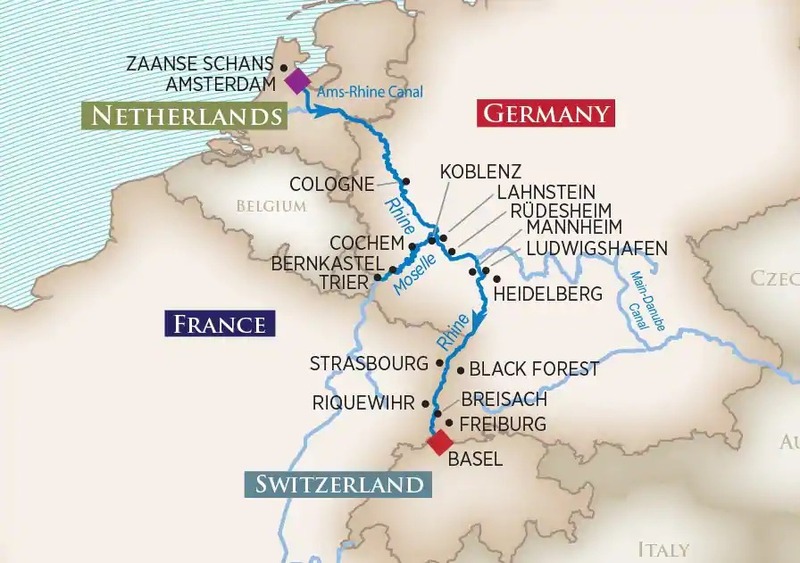 Colorful canals and glistening lakes, hilltop towns and majestic alps, mighty fortresses and storied castles, and hearty beer and delicate wines can all be experienced on this fairytale journey through time. 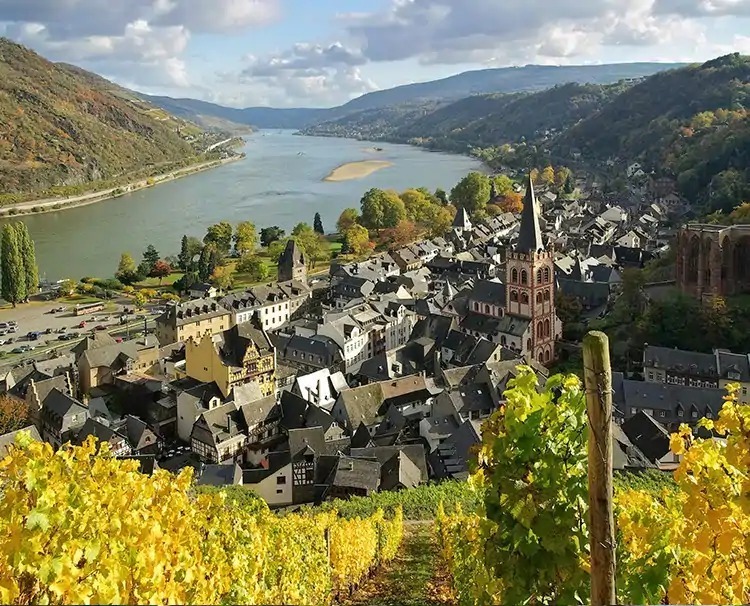 Port Charges are not included in cruise price$260 per person. 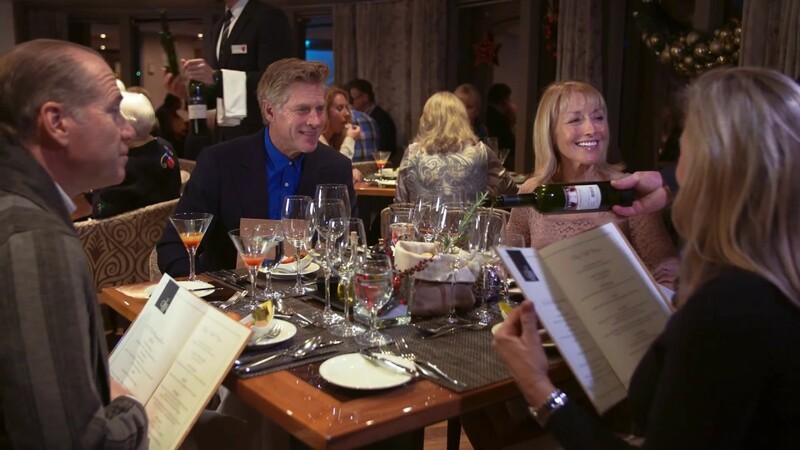 A Single Supplement for Cruise is 50% of twin price; AA+ and Suite 100% of twin price. 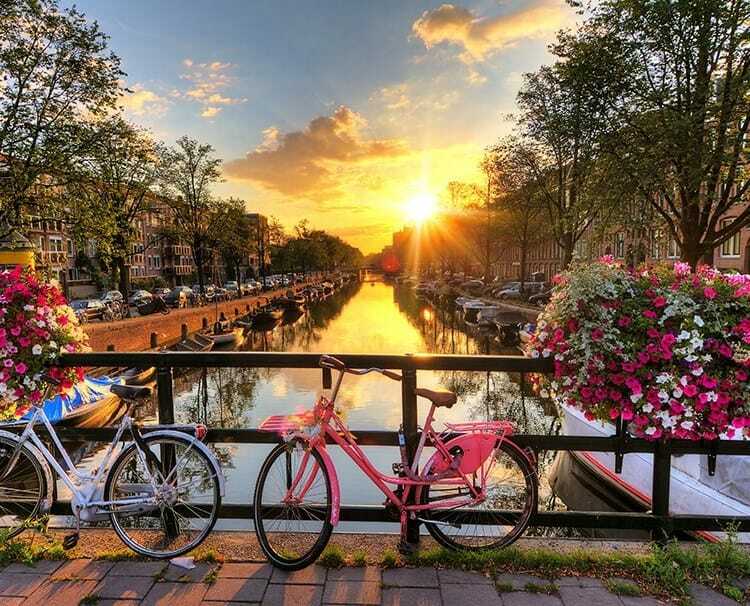 Single supplement waived on D & E categories. 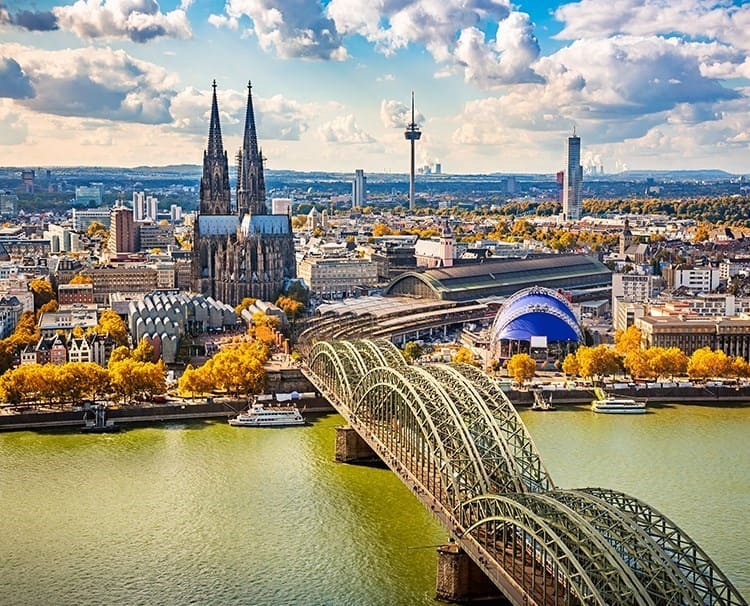 Please check at time of booking as offer is capacity controlled.